Students in the School of Law to benefit from support in memory of highly-respected Professor. A scholarship established by the University of Aberdeen in memory of one of the founding fathers of the law summer school has received a leadership gift from the University of Aberdeen Foundation based in the USA. The David Carey Miller Scholarship will allow a student to take up a place on a one-year taught LLM masters degree at Aberdeen. Open to students from across the USA and Africa, the scholarship will fund academic fees, travel and accommodation. 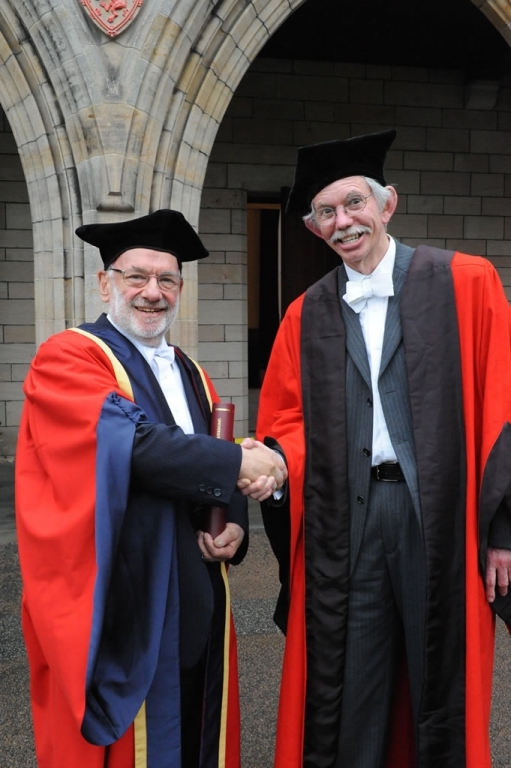 Professor Carey Miller was an internationally-respected professor of property law, who taught at Aberdeen for over 45 years, and who died in 2016, aged 74. A former head of the Aberdeen School of Law, he served as the director of the annual Aberdeen Summer Programme in cooperation with the University of Baltimore and the University of Maryland Francis Carey King School of Law. Established in 1986, the programme explores comparative US and UK law and is taught by Scottish and US tutors. As well as receiving the leadership gift from the University of Aberdeen Foundation, the current Head of the School of Law, Dr Greg Gordon, has also made a substantial personal donation in recognition of his friendship with and admiration for Professor Carey Miller. If you would like to contribute towards the David Carey Miller Scholarship please give online here or if you are based in the USA you can donate here. Our secure online giving pages provide the opportunity to donate to a number of our priorities - to make sure that your donation is sent to the correct area please ensure that 'David Carey Miller Scholarship' is selected from the drop-down designation menu. For more information or to discuss further please contact Lisa Chilton, Fundraising Manager at the University of Aberdeen Development Trust at lisa.chilton@abdn.ac.uk, phone +44 (0) 1224 274113.